VPN Kill Switch: What Is It, And Why Do You Need It? 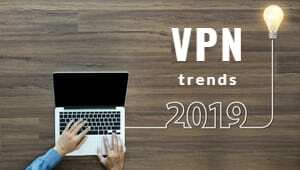 The popularity of VPNs has unsurprisingly grown in recent years, since users are looking for online freedom and privacy. The best VPNs offer advanced security features beyond the basics. One important security feature is a VPN kill switch. When you use a VPN, your connection can drop at any time for any number of reasons. When that happens, you are exposed to anyone wishing to snoop on your online activity. Luckily, a VPN kill switch protects you in such instances by disconnecting you from the internet immediately. When this happens, your system or device won’t share or receive any data packets, and your identity and online activity will remain secure. How Reliable is Your VPN Connection? When you visit the website of any VPN service, you will most likely see that they boast a 99.99% uptime and promise that you won’t face any connection drops. Many VPN vendors stand true to their word, but there’s never a guarantee. Connection drops can occur for a variety of reasons. It can depend on the level of congestion on the server you are connected to, or it can depend on if the VPN vendor only offers a few servers in specific geographic locations that are in high demand. Your best bet is to go with a VPN that has its own servers, and offers hundreds of servers all over the world. When the VPN doesn’t have to share servers with a third-party provider, there is a lower chance of bottlenecks, so the chances of connection drops go down. These VPNs are referred to as Tier-1 VPNs, and they provide you with the most stable connections. But again, there’s never a guarantee that a connection drop will not occur, which is where a VPN kill switch comes in handy. If the VPN does not have many servers, then the chances of this happening are high. If the VPN does not have its own servers but shares the servers, then the chances of connection loss go up as well. VPNs are also known to use bandwidth throttling to prevent connection drops when network congestion occurs. While that may prevent connection drops, it’s not a desirable method, because it limits bandwidth. This issue could cause your VPN’s connection to drop repeatedly. Firewall and router settings often collide with the VPN, causing the connection to drop regularly, so you should be sure to check your router’s settings when you install a new VPN. Asking your VPN provider or administrator for help can resolve this issue. You can check with your VPN’s support service for specific details on the device you’re using. You should be sure to choose the VPN protocol recommended for your needs, and that is compatible with your device. 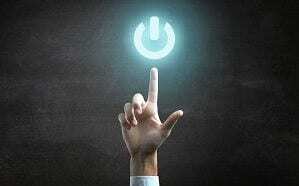 Does a Kill Switch Work Automatically? Usually, your VPN vendor will enable the kill switch feature in the client by default. But if you’re not sure if that’s the case, you can check manually. Just open the VPN client and look for the kill switch toggle. You can choose to turn it on or off, although it’s recommended that you keep this feature on at all times. Since connection drops can occur without warning, if you don’t have VPN kill switch enabled, you will be exposed immediately. Who Should Use a Kill Switch with their VPN? People use a VPN because they need it to stay anonymous online. For this reason, a VPN kill switch is an important feature. There are some users for whom a VPN kill switch is of paramount importance. In every country, you’ll find activists who take a stand against the government or specific policies. Some countries have activists who desire anonymity to remain hidden from the authorities. This happens in countries with strict censorship laws, where the activists could get in trouble for voicing their opinions and being identified. These users have the utmost need for kill switches so that they can remain under the radar while staying active. Kill switches protect activists by ending their internet sessions the second they are no longer private. P2P is not legal in most parts of the world. While some governments aren’t as strict when it comes to the content users download or share on the internet through P2P, other countries take a firm stand against it. Users can easily receive a DMCA notice or formal letter if they are caught downloading copyrighted content from the internet and thereby indulging in digital piracy. To protect themselves, torrent users utilize VPNs. Not all VPNs support P2P, but the best ones will generally do so. Now, when you download a file, you might step away from the computer for a while as the file downloads. There are chances that your VPN connection might drop while the torrent is active. If you don’t have a kill switch enabled, then your ISP can immediately see what torrent you are downloading. All businesses today have remote workers, since communicating with them is much easier today, and finding help from all parts of the world is an attractive prospect. Remote workers often connect to their company’s VPN network so that they can access company files and resources from wherever they are. This includes accessing and using sensitive company data that you wouldn’t want anyone else to get hold of. If the remote employee’s VPN connection drops at any time while he is using the network, then the files he or she is accessing might be vulnerable to theft. A kill switch, therefore, comes to the rescue in the event of a connection drop and maintains the security of your business. Last but not the least are people who are really careful when it comes to their online privacy. 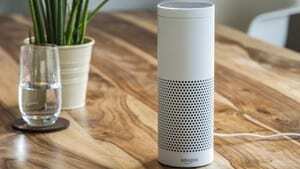 It’s never a bad thing to be conscious about your online privacy. If you are concerned enough about your online privacy that you choose a good VPN and take other precautions to be invisible on the web, then you probably know about VPN kill switches as well. If you don’t, or don’t have it enabled on your VPN service, then it’s time to do so now. While many people think that the data they have on their system or device isn’t attractive for malicious users, the situation is quite the opposite. Hackers attack casual internet users and steal their personal data before sharing it on the dark web for potential customers. These are people who want fake IDs to use for nefarious purposes. Your data might also be stolen and then used against you. While VPNs keep these malicious users at bay from spying on your activity, they get a small window when your VPN connection drops. A kill switch ensures that this doesn’t happen, protecting you at all times. How to Check if Your VPN Has a Kill Switch? The kill switch is a pretty common feature and one that many VPN vendors boast about on their website. You can find the kill switch option when you open the VPN client and look for the features. If it’s not there, then it’s quite likely that your VPN does not offer a VPN kill switch, though it’s not certain. To know for sure, go to your vendor’s website and ask their support staff. You can also look up the FAQ section to learn about it. This is the basic kill switch that disconnects you from the internet completely. When your VPN connection drops, your system is taken off the internet, and no packets are sent or received. It’s a complete protection feature and is quite simple to enable. All you have to do is go to the VPN client and turn on the VPN kill switch. An application-level kill switch gives you more control as to how the kill switch works. It lets you choose which applications can remain connected to the internet in the event of a VPN connection drop. This helps you use the internet as you want without compromising your identity even when your VPN connection drops. The common applications that people choose to disconnect from the web when a connection drop occurs are browsers (Chrome, Firefox), Skype, Torrent clients, email apps, etc. The VPN kill switch is an important feature to have in a VPN service. While the chances of a connection drop are less likely when using the best VPN services, like anything, you should always have a backup plan. A VPN kill switch is the last line of defense, and when push comes to shove, it’s the only thing standing between your online activity and those who wish to snoop on you.